For some reason we have been on a kale kick at my house. Kale, mushrooms and brown rice, Kale Salad , Kale Frittata and my new favorite, Garlicky Kale Salad from Whole Foods. 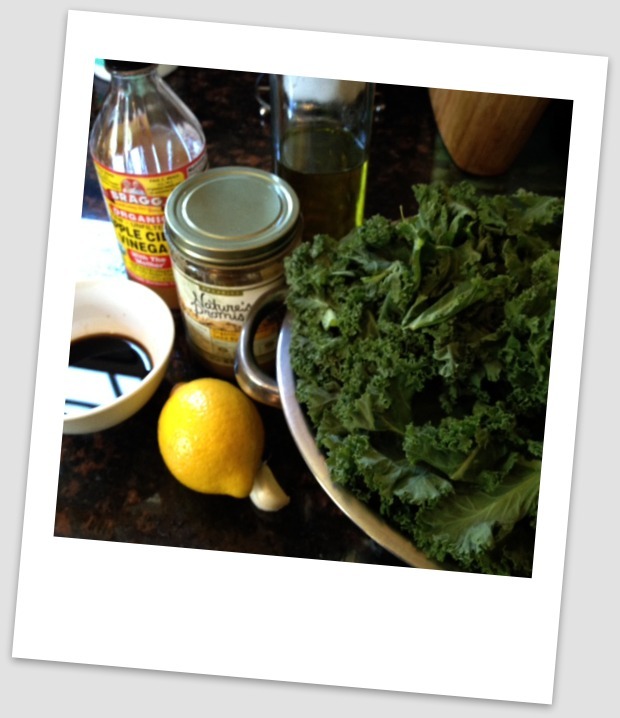 Much to my dismay, Whole Foods has not published this delicious recipe, but I have found I have found several recipes online, all very similar; kale, tahini, soy sauce or Bragg Liquid Aminos, garlic, apple cider vinegar, lemon juice and nutritional yeast (if you have tried this you should). Here is a version from local Richmond food and fitness blogger, Eating Bird Food. The only change I made was using sunflower butter in mine this time (I was out of tahini). Of course Easter weekend was full of good food and fun. We drove to Charlottesville for an Easter egg hunt and hayride at Carter Mountain Orchard. Looking forward to going back to do a little apple picking. 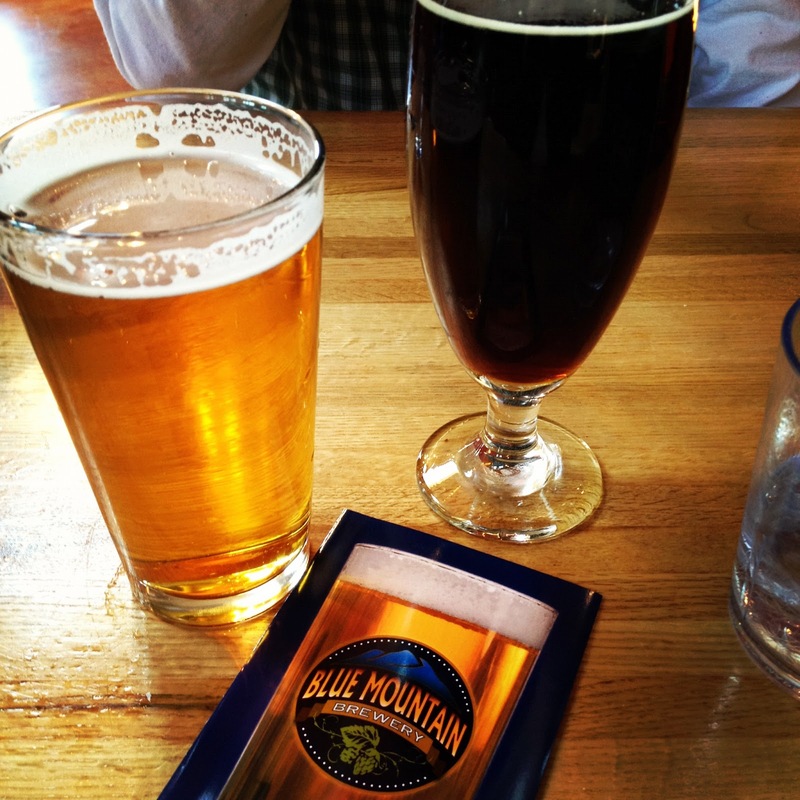 We also decided to head a few minutes up the road to Blue Mountain Brewery for a late lunch and of course a little local brew. They had a lentil burger special that was very good, and we tried an Evil 8 Belgian Style Dubbel Ale and the Blue Reserve, both delicious. Coming up soon, Asparagus Pesto and a spicy cold noodle salad. Welcome to Virginia Bloggers! 🙂 Can't wait to read more of your recipes and adventures!